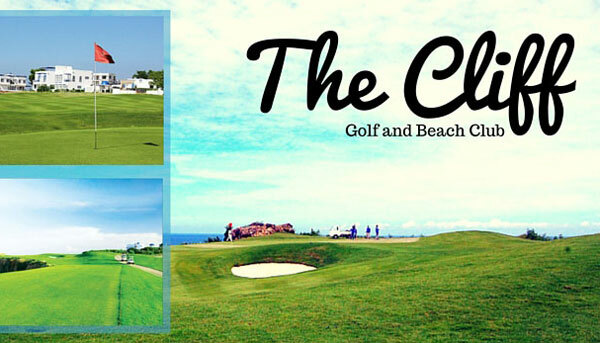 Enjoy a sea-side escapade any season of the year at the Cliffs Golf & Beach Club in San Fernando City, La Union. This exquisite 9-hole, par 36 all-weather championship golf course lies over 3,372 beautiful yards of lush greens and numerous mature trees. Luxury is at it’s finest at the Thunderbird Resorts where this course is located. It was flawlessly designed by the renowned International Management Group (IMG) and continues to live up to it’s high standard with its excellence and beauty. The Cliffs Golf and Beach Club offers players of varying degrees of skill great challenges and enjoyment to give all golfers an exciting round. The holes are strategically set in place for optimal play time.Overall, with some of the most excellent South China Sea ocean views in all of Asia, golfers experience much more than just a satisfying game of golf. One will never be too far from something they need with complete amenities including a pro shop, a restaurant to keep visitors full and energized, a sauna and massage rooms to relax after a day of playing, and of course locker rooms. Features one of Asia’s best par 3 holes, the unique ocean hole. Next to the Thunderbird Resort and Casino. 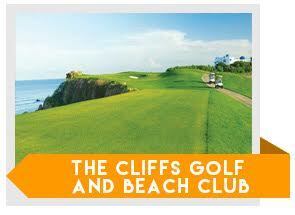 Tip for Tourists: You can still play at The Cliffs Golf and Beach Club by booking directly with GolfPackages. Fill out the form to your right and get your free quote today.